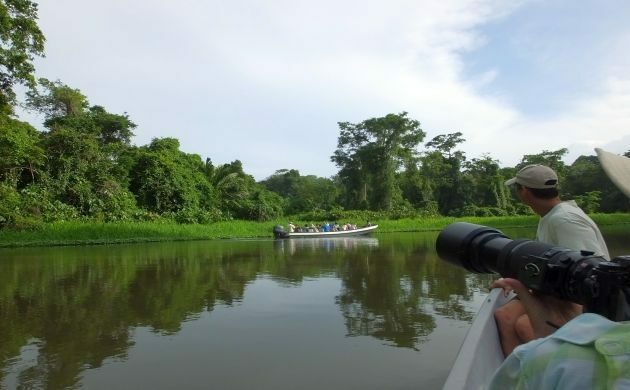 I went to Tortuguero National Park last weekend. Shortly after arrival, I saw a bird that had me yelling for Robert to come down from his room in the Casa Marbella and look in the scope. Knowing that I wouldn’t yell for him to come quick if we were seeing regular species like the endangered Great Green Macaw, toucans, or even a Bare-crowned Antbird, Robert wasted no time in racing down the stairs. 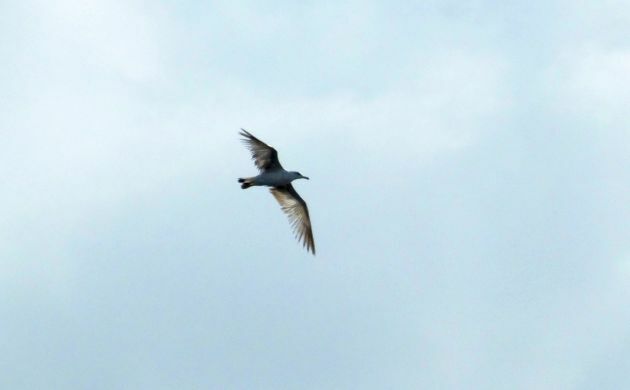 Although the bird in question wasn’t the major, mega target known as a Crested Eagle, Robert Dean, the illustrator and co-author of “The Birds of Costa Rica, A Field Guide” still shared my jubilation at seeing none other than a Ring-billed Gull. Yeah, we were pretty happy to see a bird often referred to as a “rat with wings” (by non-birders of course) because it doesn’t usually vacation in Costa Rica. 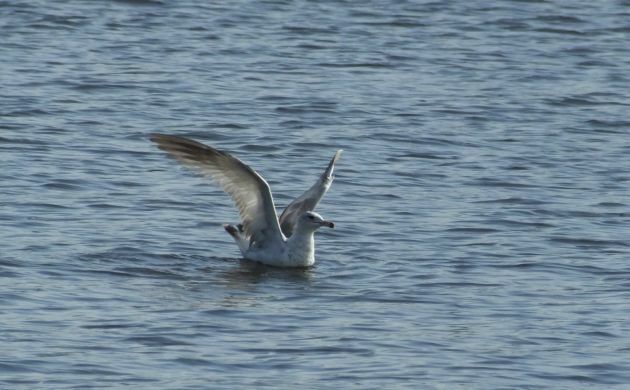 It seems that this and most other gull species of the north aren’t really into the warm climes and would rather stretch their wings elsewhere. The Ring-billed only makes it here by rare chance, neither of us had seen one in Costa Rica before, and neither have many other people. I’m not sure but I suspect that there are less than ten records of the good old “seagull” (sorry for the bad language) in the land of the Flame-throated Warbler, quetzal, and “gallo pinto” (aka rice and beans). 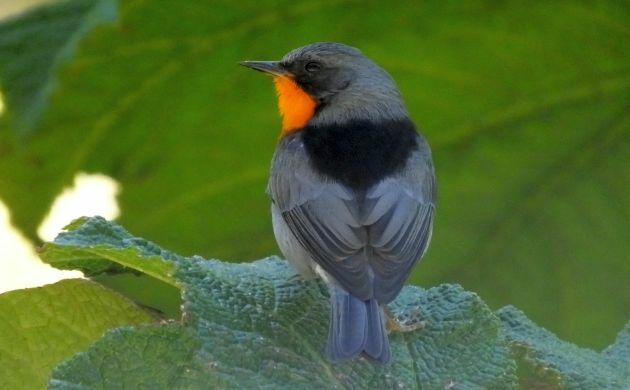 The high mountains of Costa Rica and Panama are the realm of this royal bird. –Being in the right place at the right time. eBird helps with this. –Knowing how to look for the bird in question. This comes from experience but a good guide also helps. –Knowing what you are seeing. Once again, experience, and too much time staring at photos and field guides. –Having said your prayers to the birding deities. These vary and depend on your imagination but might take the form of “The Feathered Serpent”, “King Goshawk”, or perhaps “Lord Gullicus”. –Always looking. This might be the most important factor to connect with rare birds. Let your birding guard down and some super lost wagtail might take advantage of that critical window and fly on past when you were obsessed with a Pokemon search. Stop the vigilance and the nemesis bird flies (and laughs) behind your back. Cease to watch with an open mind and the Sharp-tailed Sandpiper is just a funny looking Pec. We miss the unexpected because we fall into the trap of only seeing what we are looking for. Therefore, no matter what you are doing, or what your excuse, never let the birding guard down! 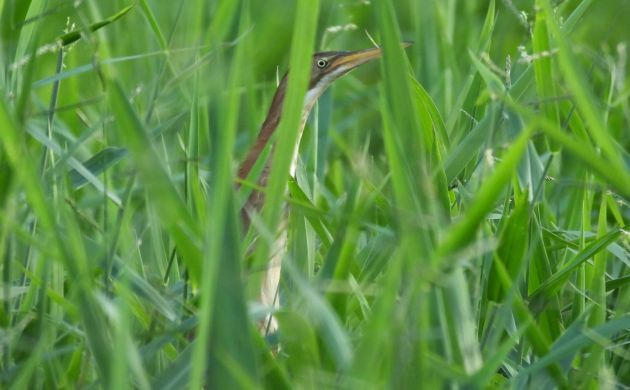 The Least Bittern loves to slip by when you let the guard down. Not a Crested Eagle but still a great bird for Costa Rica!